If you want to uncover anything about anybody, Sarah is the goto person and master of the deep web investigative search. As Blackhawk’s front line Senior Investigative Analyst, she leads research and investigation efforts to uncover deep information supporting asset tracing and due diligence case work. 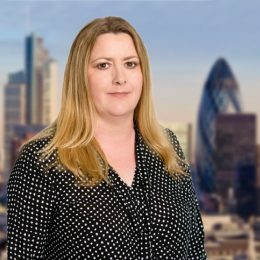 Sarah has had an extensive career as a professional investigative analyst, having worked for top insurance companies and important specialist private investigation firms. During her career, she’s investigated everything from injury claims, staged accidents, employer liability, disability and even PPI. If there’s something to be found, Sarah will definitely find it. If you were to parody Sarah’s role and abilities, she’s rather like the person in those detective programs that the field agent team rely on to gather that one, supremely important piece of information, that gives them the edge in tracking down their target. Solving puzzles and cryptic crosswords, reading crime stories all feature highly in Sarah’s pastime pursuits; an interesting mix of interests that make for close allies with her day job. All of which apparently takes her mind off her day job. That said, Sarah is like most others in Blackhawk, there’s a reason she does what she does – she loves solving real life puzzles. Being a keen walker keeps her grounded with reality, walking throughout Kent at the weekends. Sarah says that being naturally inquisitive, really helps in her job. You also have to have a keen sense of curiosity to follow a data trail as deep and complex as the cases Blackhawk handle. It helps to be as methodical as her too, as an investigation can throw up multiple paths to follow, with many often being red herrings. To be effective, you have to be thorough and efficient. Sarah’s extensive career in fraud investigations and due diligence has taught her a great deal about the tricks and techniques people use to hide and throw you off the scent. This is something that makes her a great mentor to others in the company. Sarah is also responsible for producing reports that turns research and analysis of the data uncovered into something a client understands and that provides a solid basis for action taken in the case.